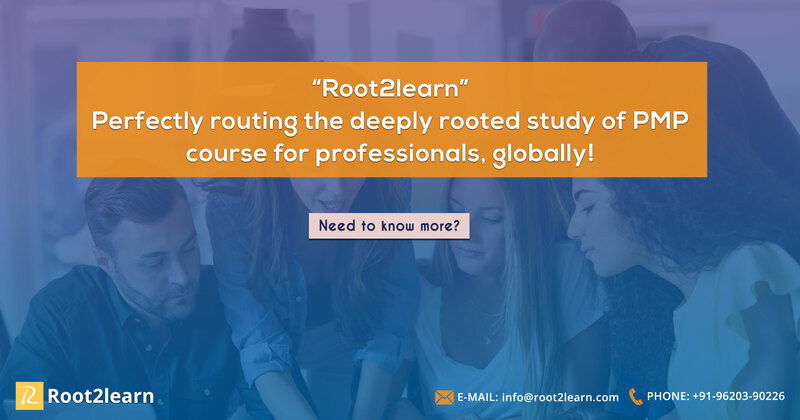 Offering the best quality and highly diverse set of PMP (Project management Professional) training, Root2learn is a name that has efficiently connected both hands and hearts. With advance level courses set to the most recognised and highly educated set of mentors, we have a complete hold on the entire course curriculum. Root2learn provides the best training for PMP with a scheduled training for each individual enrollment with us. Our PMP training course is strategically designed to make sure one learns in the first attempt, itself. We use hands-on training approach powered by the most proficient mentors for guiding each protégé with us. Our course also includes providing the preparation material, practical sessions and an overall confidence to conquer the exam. We use a set of highly advanced and modern project management tools, like- work breakdown structure, Gant charts, resource allocation, cost management, mathematical project scheduling models, engineering economics and project cost estimations, etc. Our most valued approach works towards developing a broader and highly dynamic set of techniques and make the user adaptable to the context and the constraints of the upcoming projects in life. Our course design educates every pupil to understand the need and learn the ways of delivering a project within the scope, time and budget. We also make sure to additionally cultivate the inter-personal skills, trust, reliability and leadership amongst an individual. 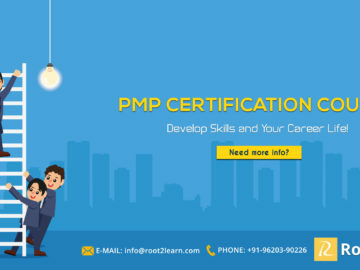 Root2learn is a strategic way that leads to your ultimate goal to grasp learning pertaining to PMP certification training online such that one evolves as a star in this global gold standard grade, amongst the other project management professionals. Being the highest global degree for project management professionals, we have designed our program in a similar manner to safeguard the quality and interest of the professionals. We offer a self-paced learning platform for high-quality education in both practical and theoretical forms. We also offer online classroom sessions for professionals who are unable to reach our regular classes. Our courses curriculum is well blended with the corporate needs. Thus, we offer a complete training solution based on corporate existence for the best delivery. Join our team to transform your career to a global level Project Management performer.